Click the book images for more information or to purchase from Amazon.com. We've been busy writing VeriSM!! 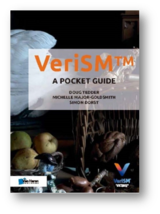 For all who are looking for more information on VeriSM, we apologize for being slow with our website... We've been busy as Lead Author for both VeriSM books: VeriSM: A Service Mangement Approach for the Digital Age and VeriSM: Unwrapped and Applied (due Fall of 2018). Check out the links on the left for more information. 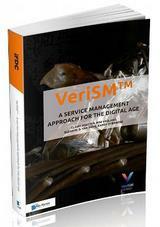 Looking for VeriSM resouces or information? SED-IT is an accredited training provider (first Accredited Training Organization (ATO) in North America)! Training courses and workshops, presented by Lead Author Dr. Suzanne Van Hove are available. Accredited courseware is available for licensing. Dr. Suzanne Van Hove delivers official VeriSM training via GogoTraining.